Enjoy a #gincredible Sunday at The 41 on Sunday 3rd February and on 3rd March with Whitley Neill Gin! 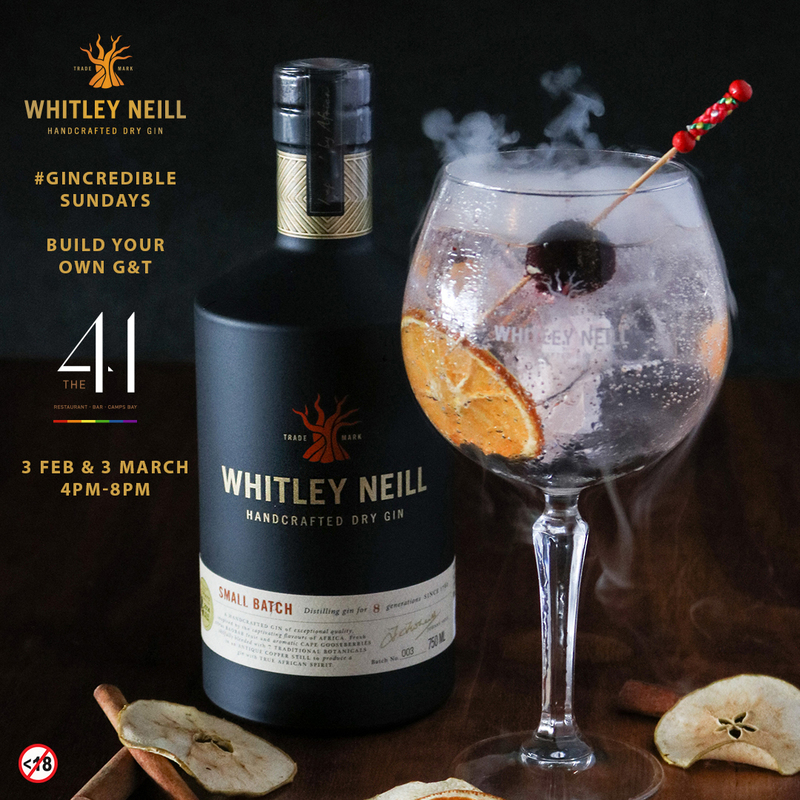 Build your own G&T and post it on your social media page, hashtag #whitleyneillginsa #the41 #GinCredibleSundays and stand a chance to win a bottle of Whitley Neill gin! Deep House tunes provided by Liam Pitcher. Book your table now! Only on Sunday 3rd FEB and 3rd MAR from 4 to 8pm. 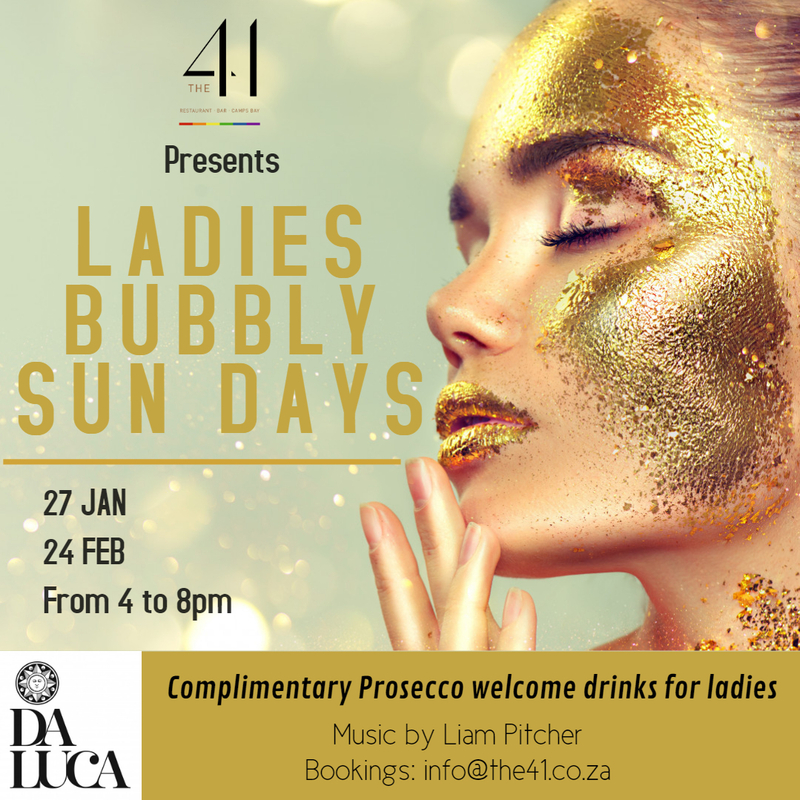 The 41 invites you to Ladies Bubbly Sun Days! Two dates to save: Sunday 27 January & Sunday 24 February. Complimentary Prosecco Welcome Drinks for ladies! Bookings are recommended to avoid disappointment! We will make sure to have enough bubbles to ensure your flutes keep whistling!